Like everyone, I've seen countless images of forests of high rise apartment buildings in China…but I'd not seen a single image from inside one of those buildings, until I hit this link: "Chinese New Year: Cultural Snapshots of Society". Can someone "who's been there" comment on how typical what's portrayed is? I have no information on this and would value any insights. "The U.S. goods trade deficit with Canada was $17.5 billion in 2017, a 59.7% increase ($6.5 billion) over 2016." "The United States has a services trade surplus of an estimated $26 billion with Canada in 2017, up 8.0% from 2016." 1. Cars and Auto Parts. Canada manufactures 4 million cars. It buys 3 million and exports 1 million to the United States. It is also the largest auto parts exporter to the United States. Canada uses the agricultural marketing board mechanism for controlling production and prices of domestic dairy and other "grocery" farm products. To support this mechanism the marketing boards restrict all imports by tariff and by quota while allowing Canadian "surplus" production to be exported at foreign market prices. Question: Who would profit most from the shift of car and auto parts production to the United States? Whose domestic production of "grocery" farm products would be boosted by the exclusion of "surplus" Canadian production? Ain't the study of actual political economic events much more interesting than further refinement of marginal utility theory? The reports I've seen indicate Canadian dairy protectionism is driven by Quebec…something the the anglophone provinces deeply resent, as they're forced to pay up for dairy products. So, in addition to being seen supporting important US constituencies, Trump is deepening political divisions north of the border. The Canadian Parliament decided to "stand with Canadian workers" when President Trump announced the steel and aluminum tariffs. I doubt very much that they have examined their own history with regard to trade "wars". If they had, they might have been tempted to take President Trump at his word about the need for "reciprocity". In the Elgin-Marcy Treaty, signed in 1854, the U.S. and London entered into a free trade agreement. As the Wikipedia article notes, the Canadian business interests threatened to ask the U.S. for annexation if Britain did not work to open the U.S. markets to Canadian exports. Under the Treaty timber and wheat and coal were admitted to the U.S. without duties or quotas; the existing 21% tariff was eliminated by the U.S. The reward for the Americans was open navigation on the Great Lakes and St. Lawrence and access to the Grand banks fisheries. The arrangement was broadly popular and hailed as the Canadian-American Reciprocity Treaty. Within 4 years the Canadians decided that they needed to protect their manufacturers. The Cayley tariff of 1858 and the Galt tariff of 1859 raised the duties on imported manufactured goods 20 per cent. For the new Republican Party, this was an absolute Godsend. In 1860, as now, the United States had the lowest tariffs and least restrictive trade rules of any country. Why, Congressman Morrill asked, should American producers have to accept foreign competition but be shut out of foreign markets? Morrill shifted the discussion on tariffs from being a question about protecting Northeastern manufacturers to one for the nation as a whole. He introduced his bill by announcing this change: "In adjusting the details of a tariff, I would treat agriculture, manufactures, mining, and commerce, as I would our whole people—as members of one family, all entitled to equal favor, and no one to be made the beast of burden to carry the packs of others." The "free trade" Democrats did not have an answer. By 1861 the U.S. had increased overall tariffs from 17% to 26%; by the end of the Civil War the average rate had increased to 38%. It was to stay there until the Underwood tariff (the Revenue Act of 1913). And yet when the Fed decreases its debt holdings, it is not somehow magically paying off the debt but only selling it to someone else. If that is the case, then won't the lovely future GD predicts depend on Secretary Mnuchin finding an extra $400B from somewhere other than Aunt Janet's piggy bank? That's right…when the Fed stops rolling over its debt holdings to shrink its balance sheet, the debt will need 'fresh money' buyers. The bear story is more debt on the market pushing up yields. The bull story is the presence of "natural" buyers needing "risk free" assets…a category that conveniently includes US financial institutions forced to buy them due to increasingly rigorous regulations. What do you call it when one of your friends pretends that he's criticizing you while really praising and exonerating you. It's not "your own man". It's a variant of "the perfect lie". You pretend you're blaming your friend while really praising him. "We called silver top at 950 but it really went to 10 before cratering so we were wrong." As Harry Browne said, "Well, if this guy considers himself wrong when he misses by just 5%, he must be incredibly accurate. I better sign up now." I have seen Woodward do it a number of times. Some may remember "the threat" to Woodward from the White House a little over a year ago after "Inarguably, Woodward has had greater access to the White House than any other journalist in town." Now Woodward is somehow sure (from the Newsmax article) that "Obama didn't intend to do something dumb… He just wanted to do the humanitarian thing and get Bergdahl released, "and then they failed to manage it." I mean what else can it be? In the olden day the King never knew all the bad things that happened to the simple people, he was always deceived. But he always meant well. And those who watched last Sunday's Fox's morning program saw how Woodward gently (well OK, snidely) made fun of a conservative talk show host because she just can't forget about Benghazi. What's a man to do if he has to maintain access? Or maybe this is about more than maintaining access. There is no reason to anthropomorphize these animals. In track it's called "missing his seeded time". The only thing I have personally experienced that comes close to the lies traders to themselves and others is runners and their training and Personal Record. If you don't believe me talk to some fat person who has been to jogging for over a year and hasn't lost any visible weight, how their training been going. A PR in most big races that have entry times now must be validated. Often in a race like Boston, the NCAA Track Championships or the Olympic trials, the times are so stringent that the racer often peaks before the race and then race day conditions are never as perfect as they were on PR day. But in track, in minor races, coaches must give a "seed time" for the race officials to pick the lane and the heat that often are unverified. A seed time is suppose to be from a recent race, but rarely are they verified. The good coach will whittle his best runners times down to give him the best lane/heat. Then of course after his race, when his times are higher than seeded, "it wasn't his day". Its unspoken but understood if he had the best time on the team, why he missed his seeded time. This seems like a first cousin of the "humblebrag", which is when you, usually consciously, try to get away with bragging about yourself by couching it in a phony show of humility, like "your inflatable inner-tube is way cooler than my 80-foot yacht. You get to be so much closer to the water and to nature. I envy you, I really do." Perhaps it should be called "humblepraise". The good one forbid that all the money saved by the shut down should be disseminated to the public in form of lowered service rates. No politician would even dare to suggest that the moneys of all the furloughed employees not paid should be given to public. But one group that is truly hurt by the shut down is the Exchanges. Now the releases of the random government numbers like claims, and CPI, and durable goods and housing will not be released so the public won't be able to do the wrong thing and churn their accounts, and the flexions will not get the information first and be able to front run the public. It isn't cricket. There should be a law. Due to a technical seam in the funding mechanisms, the claims number IS being released every week. What is going on here? Let's assume that the government "defaults" (whatever that means) and the holders of the t-bills maturing on 10/17 and 10/24 cannot get their money back for a while. The market has priced "normalcy" (whatever that means) into the market with about a month. Yet, the extra yield being paid for the 10/24 t-bills equates to about 3-4 month's worth of yield. And the Fed is going to be doing their usual system repos during that period. Question for GZ and the t-bill arbs: Is there something funky going on? Or is this a real arbitrage? As far as I know it's really there. Large classes of natural t-bill holders can't take ANY risk of not getting par on dates certain. I think this anomaly may be good to watch since it's the only objective market signal for assessing the probability. And so we have a baseline unfolding. But not worth the effort to trade (yet) — since if they really do default, there will likely be much lower prices in other stuff. I'll go so far as to predict that an actual default will be worth between a 3% and 7% panic haircut on the S&P. Don't ask for historical, quantitative proof. They ain't any. But you heard it here first…. Here's an interesting Schilling article that Real Estate has 20% down to go due to unlisted foreclosures, separation from investing/ownership, and 40% underwater with another 20% drop in price. However, the real estate cycle is notoriously fast when it takes off, so trying to time it is hard to do. If, if, if. I've seen this reasoning on bonds from a million sources over the last 5 years. If bond yields go up, or go back, it would cause this destruction or that catastrophe. But people in the bond field know as much about the course of the yield curve as anything in the world, indeed they're much more versed than the stock market people. And it just takes a few Grosses or Soroses or DeRosas or dozens of others to set prices exactly where they should be taking account of all future contingencies. In short, the yield curves today provide an extremely accurate forecast of future fixed income yields. The experts, the DeRosas take account of the likely change from easing to tightening and when, and what a impact that will have on everything in their current forecasts. To predicate a trade on the idea that bond yields at 3% or 2% are ridiculously low is to go against the greatest experts in a field the world has ever known, et al. Unfortunately, the bond mavens today are forced to gauge not the real economic context of the forward curve, but the internal dialogues of Bernanke and Dudley. With the Fed manhandling the yield curve from tip to tip (and TIPS too), the price signaling attribute of the treasury market has vanished. We are likely years away from private capital allocators fully resuming their role as impartial price setters for money. And there's a real risk the cronies will never be pried loose. I heard one of my mood of real estate indicators loud and clear the other day, ironically on the am radio. The banter back and forth was why renting is better than owning, even though the price may be higher to rent. radio person a: Why should I tie myself down with a house, if I lose my job I can't move? person b: Right, its easier to just rent and move. The job environment needs to bottom and improve before housing can turn–Rocky's 2014 guess is as good as any for a bottom based on soaked up supply. We are in an unprecedented period where the world central banks, instead of suggesting work and saving as a remedy to excessive debt, offer the effortless remedy of federal programs, massive printing, and more debt. Is it ironic, as we reach new market highs, that the biggest per cent mover today (not SHLD, which is up on worse than expected earnings but a shot at more creative financing) is a diet drug that eschews exercise and dieting but instead offers a pill for the same result? MF Global “was felled by over-the-top leverage and bad derivative bets on debt-weakened European countries.”. The main issue is that some segregated funds are apparently missing. Complex economies rely on trust. If actors cannot trust counterparties, intermediaries or legal constructs, the scope and pace of activity will decline, and all actors will suffer. The Lehman debacle's aftermath concentrated the commanding heights of US finance into a menagerie of TBTF above-the-law cronies. The control frauds at the GSEs, AIG, and others have gone conspicuously unpunished. A broad sustainable ramp up in living standards and asset values requires capital allocators to have faith laws and regs and rules and norms will be honored. (For some recent research on this see for example, Zingales: Measuring Trust ). So don't blame the highly leveraged players. First they came for the highly leveraged specs, and I said nothing…..
JPM could have said we have a couple billion here on Monday night, or on Tuesday Open; or even Tuesday at 3 would have been nice.. Wednesday goes by, Thursday, Friday.. Oh Friday how nice.. That was no, let's wait to report we have a few billion from MF here.. Let's imply it was lost or stolen. Of course this doesn't bother hedged unleveraged fee-collectors. Would everyone agree that the employment numbers serve the same purpose today that the money supply did 15 years ago. Merely a number to make people weak and to flexionisize so that more money to the cronies will be paid. How can the ADP numbers be up while the BLS numbers are down when they both take the same sample. Surely the seasonal adjustments and hedonistic adjustments can't be that different. There must be immense horsetrading going on with the numbers being vetted back and forth, and heads up to the various cronies going this way and that way before the final meaningless tweaks are given. Depends on how close to an election also one would think. Do you feel this is all wrong on my part and I am much too cynical? One can't be too cynical in this environment. The ADP and BLS samples do overlap, but they are not identical, the former being literally just the businesses serviced by ADP. Also the massaging is rather different, with ADP's count subjected to secret sauce by Larry Meyer's firm in St. Louis. And g-d knows what manipulations BLS performs in its bowels. reports +90 is consensus for private payrolls. The clustering and repetition could be a coincidence, but that's hardly the way to bet these days. The attached is a plot of log SPX vs contemporaneous yield curve (10Y-2Y), monthly 1976-August 2011. 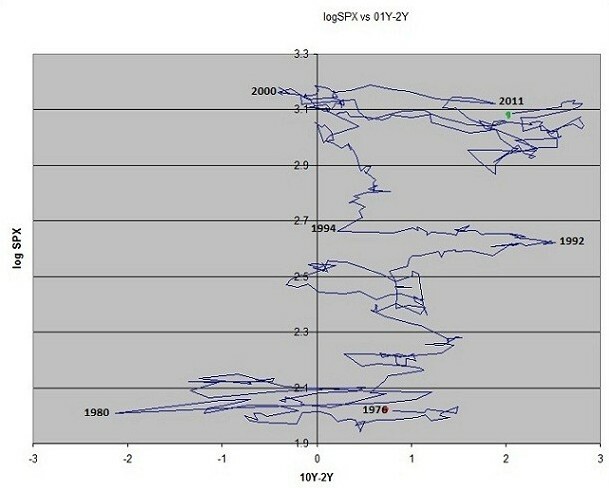 Dates are not shown, but the plot is a continuous (albeit mathematically not one-to-one) and shows various regimes between log SPX and 10Y-2Y. The series starts in 1976 at the red dot near the bottom. Stocks (vertical axis) made little headway while 10Y-2Y varied above and below zero, making a series low about -2 in 1980. From the early 1980's to 1990's, stocks moved sharply upward, with 10Y-2Y varying between slightly negative and +1.5. From 1990 to 1992 (~Iraq I), stocks moved up while 10Y-2Y widened. From 1992-94, stocks went up while 10Y-2Y narrowed. From 1994-2000, stocks rose strongly while 10Y-2Y remained in a tight range (activist FED? ), and 10Y-2Y went negative when stocks peaked in 2000. From 2000 - 2011 (green dot), 10Y-2Y varied considerably from -0.4 to +2.8 while log SPX was range-bound with considerable variation. The recent picture - range-bound stocks with varying yield curve - resembles the late 1970's, and the overall pattern suggests no consistent relationship between stock levels and 10Y-2Y. The results I posted earlier that showed significance were the second year's S&P 500 returns regressed against the 10-year/3-month yield differential. That result seems suspicious–why should year-old data be more predictive than current data? 2011 so far is not going according to form. Because between Volcker's rise and Lehman's fall, the main way the curve steepened was when the Fed lowered rates in the front end, stimulating the economy and stocks, months down the road. He is one of the flexionic sub-species of political flexions, nominally Republican, but rotten to core. Sounds like the character known only as the Major in the dystopian books of Daniel Suarez. Not to say anything that I don't know anything about. But you have to hand it to Perry. 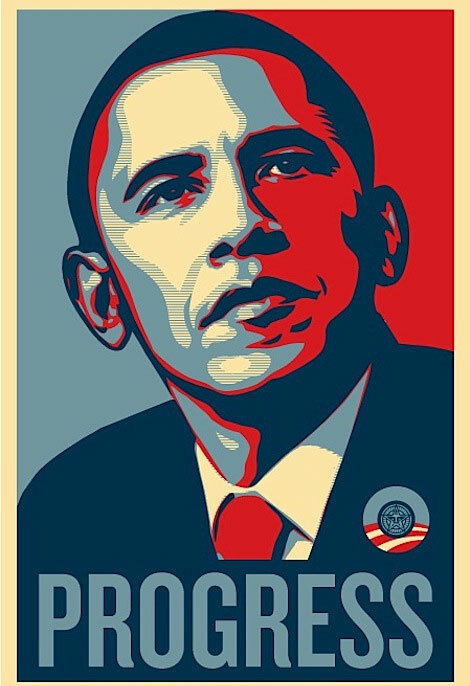 He forced Bernanke to not go with an overt QE3. And that has to be very bullish as how many resources can they take from the little man and give to their former, current or future friends, employees, bosses, wives, and relatives. There is no modern era precedent for the Fed facing credible political opposition from within the established governing elite framework. Perry's statement had to be a game-changer for Bernanke and the Fed, as it opened an entire new attack vector on the institution's legitimacy, which is its sole true power base. For now, I assume the threat is not being evaluated formally, generating a paper trail. But it's a damn good bet that after the first bourbon-and-branch of the afternoon, Bernanke's inner circle wargames this. It has been interesting to see in the course of these negotiations how every dodge and feint from the Zacharian and Remusian play book has been used so frequently. We have seen "Your own man" and "don't throw me in the briar patch" many times, and "you're the one that broke it up" and "You're taking care of your interests much better than I'm taking care of my interests" and "here's a gift to star the negotiations (the golf game)" et al. I haven't seen commented or named by Zachar however, "I'd like to go through with your deal but my sister in law is opposed to it". By this I mean, that "Rand Paul and the tea party boys will not vote for any deal that has a tax increase" or "Nancy Pelosi and the Women Senators will not agree to any reduction in social security". What we need is a systematic classification of all these negotiation techniques so we can catalogue them as they come out. At the head of the list is "what will happen in Asia if we don't agree to increase the service rates?" Or "what we need is another 500 point drop before the service rates go up". The stock market plays a role, and I also like "the bond market went down for the first time in 3 weeks amid fears that a deal (a service rate increase) was not reached." Forget about the fact that it's within a point of a yearly high. The Goddesses of the market look down upon us and have a belly laugh at our foolishness as we sway. That's for sure. But can money be made by seeing through all these snares and delusions? Well in retrospect, we know that the stock market when it's down much is merely being used as a tool. But how to withstand the 20% drop of oct 2008, as it is used for its evil purposes? Negotiation tactic taxonomy appears to be a developed field. Check out these articles. 1. Higher authority. The absent person with authority needed to approve(ie the wife, the husband, the underwriter, the supervisor at the car lot, the rank and file in Congress. Classic negotiation gambit. I'm on your side, and I'm with you on this, but I have to convince etc etc. 2. You're really killing me on this deal. I'm losing my shorts on this. My kids are going to go hungry. 3. I really like you. I want to help you make this deal. You look like a good guy. 6. First or second round….I'm laying all my cards on the table here, and here is my absolute maximum authority. 7. The nuclear option: if you don't accept this deal the sky will fall down. 8. Make him an offer he can't refuse. The Godfather. 9. Stall stall stall when time is asymmetrical making one party ("O") look really bad. 10. Your mother would be ashamed of you. The voters will be ashamed of you. Your boss will fire you. 11. Listen I just got fired, my cat died, my pick up truck just broke down and my mother died. Can you pleeeeze give me a little slack here? 12. Nibbling. Oh can you throw in gas, free trip, delivery, warranty, extra this that etc etc. 14. Negotiating against yourself. You'll have to do better than that. 15. The hypothetical. If I was to offer you x, would you consider that a good offer? 16. Bracketing. I'm not going to give you a penny more than x. That's the beginning and bottom of the scale. 18. Reluctant seller. (Brer Rabbit). 19. That offer is an insult, a slap in the face. 20. Keep 'em waiting. Soften them up at bit. Let the salesman sit in the waiting room for about an hour. Let the car buyer sit for about a half hour while the salesman and manger talk about golf. Let us augment the Zacharian situation which I used to call a Finnegan where you look at the screen and a price is too terrible to contemplate because it's ruinous to you, and then you realize to your utter delight that the price was a misprint on the screen, and you're whole, and not losing at all, but …. by the end of the day or week, the price you feared actually turns out to be worse than you feared and you lose even more. Such a situation occurred in conjunction with the flash crash of May 6 when the price of 1060, which was ruinous for individual stocks and S&P was there for a second, but then it rose 8% in a day, and then Zachar predicted it would go bak there after it rose 100 points. Okay, two other situations deserve a name. You look at the screen, and you smile. Your market or stock is way up you think. But then– "Oh no," you were looking at the wrong market. And your thing is the only one that's not good or up if your long. That happened to me with my Rimm and Vix today. I see a market way up. I smile. Oh no. It's not Rimm, it's Vix that's way up. What should this be called. And what about the variant where you have a price in mind to get out, and then you go to shave or take a call from a non-agenarian, and the price is realized, but by the time you can enter the order it's not there any more. And it never gets back. A related situation is that you're out of office for a second, and you hear an announcement. The economy is very strong. However, bonds are down because of the crazy idea that a strong economy is inflationary. But that's causing stocks to go down. Okay, you're losing money on your longs. The market is crazy right? You grit your teeth and go back to take a look. Amazingly the bonds are way up however. WHY? Because stocks are way down. In other words, you lost on stocks because bonds were going to be down, but they actually went up when stocks went down, so you lost for an opposite reason. What are the proper names for all these? And what variants of these type of things deserve a name? The one where you look at the screen and smile– perhaps that moment is best termed an "Eastwood", a "Harry", or a "Dirty Harry", or being struck with/by (a) "Sudden Impact", as demonstrated by the relevant portion of this scene: first from 0:18 to 0:51…and then from approximately 1:05 to 1:13. The last situation could be referred to as a "Cyclone", not for the storm, but in honor of the Chair and the iconic roller coaster of his youthful digs at Coney Island. The Cyclone is terrifying, filled with thrills, dips, lunges and jerks. And people keep coming back to plunk down there hard earned cash for more. Very nice short history of the park at Coney Island here. The Cyclone seems most apropos. What is it about Mr. Market's ability, esp. with these leveraged ETFs to give you a nice gain but not hit your target price and then revert back to your cost in an instant (many multiple percent away and seemingly not to be seen again in the near future with the new info) then turn within pennies and return you back to profit mode testing your temperament so mightily? The silver ETFs have acted like scalded dogs the last few days. The Coney Island Cyclone was the signature thrill ride of my youth. I've ridden it well over 100 times. What's always fascinated me about it, is how the experience varied with one's position in the 12 rows of seats. In the very front, with the center of gravity many feet behind you, the visual danger signs led the acceleration by a couple of seconds, giving you the sensation of hanging over a cliff. In the very back, my favorite spot, the acceleration came before you could see the rails dip, so it would catch you unawares and whip you sooner/faster than your mind anticipated. Also, at the start of the right turn off the NW corner, the right-front wheels would leave the track for an instant, making first-time riders wonder if they were destined to die on Surf Avenue, in the shadow of the D train. The one where you're out of the office for a second, and hear an announcement– It's called "duck season". The followup is too good to leave out: "Pronoun trouble". I thought you were going to say, Victor, if after getting heart palpitations at the first incorrect reading, just by the fact you had done this, it's better to get out of your said stock now anyway, as you've brought bad karma to the trade. Hoisington has one public bond mutual fund which is named the Hoisington US Treasury Fund (and he has the discretion to move his duration from 0 to 25+ years) but only owns US Treasuries. His performance is shown here. His 1year/5year/10year returns are: 4.42%/4.77%/6.31% versus the Lehman Agg Index of 4.93/5.8/5.61. . So — Gross has outperformed VH substantially over the past 1 and 5 years. And over the past ten years, Gross outperformed VH by about 85 basis points/year. Most importantly, Hoisington LOST 22.6% in 2009 while Gross made 13.8% in 2009. Which superficially makes Hoisington look like a one-trick bull-market pony…. There's an apples-oranges element to this analysis. VH has only one risk parameter to play: treasury duration. Gross can play that AND sector/credit rich/cheap. The ability to play in spread product is easily worth dozens of bp in annual performance pickup. Both men are arguably brilliant…but they do different things with different toolkits. I just finished browsing the 2012 Federal Budget Proposal. If you believe the Economic Assumptions, Dow 36,000 is a no-brainer. But see my comments at the bottom. I don't have a crystal ball. And it's certainly possible to have nominal GDP growth of 6-ish percent. However, the historical anamoly would then be in the interest rate forecasts. Since the 1950's, and except for two very brief recessionary periods, the 10 year Treasury yield has ALWAYS exceeded the year-over-year change in real GDP — with the average (eliminating the 1975-85 inflation) — being about 200 basis points. So, if you accept their real GDP forecast, the interest rate forecast is implausible. And if you accept their interest rate forecast, their GDP forecast is implausible. BUT IF YOU ACCEPT THEIR ENTIRE FORECAST, YOU SHOULD BUY STOCKS NOW! Out of curiosity, maybe George Z can chime in, are these GDP assumptions typically unrealistically rosy? That gives us NOMINAL GDP of 6.4%, which happens to be the high end of the range going back two full decades. Not bloody likely given the current configuration of economic, demographic and political forces. With existing slack/low participation rates? No way. I think these figures were calculated by guesstimating what they could publish without folks bursting out laughing…and then multiplying by 1.2. Might I suggest that the interesting reactions to my post regarding the 2012 Budget/Economic Projections should cause some introspection. As I noted, the projections seem historically improbable and incredibly optimistic — but just like that Goldman Sachs economist who projected the outlier of 6% or 7% growth this year — they are NOT impossible. And if they turn out to be even close to correct, the upside in the stock market could be mind-boggling. That was my point. And for the umpteenth day in a row, Mr. Market is again voting for the improbably bullish outcome even though GZ's helpful comments have much better odds!!. See this old post. I cannot overlook that Mr. Rogan in his replies, yet again, mistakes ZeroTruth (excuse me, Zero Hedge) to be a source of wisdom. It's particularly ironic when Mr. Rogan writes "to be an intelligent liberal today is to actively promote lies" when in fact, actively promoting lies is the essence of Zero Truth's business model. A question for Mr. Rogan: Why is the propaganda on the White House Website more troubling to you than the propaganda on Zero Truth website? 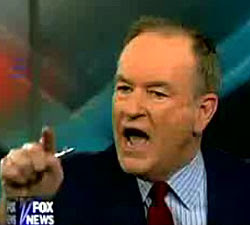 Perhaps you only object to "lies" when they are from someone who doesn't share your idealogy? One of these days the stock market will decline. And cotton will go down. And we'll have another recession. I only wish that I was smarter so I could know when that will happen. I don't know. And that's why I always hedge my bets. And that's not just bearish hedging. It's bullish hedging too. And I'm glad I'm hedged bullishly right now!! I hypothesize that one reason for the well documented dry spell of every new york sports team is that it takes a coach of much rodomontade and swagger to land and keep a job in new york, witness the Knicks and jets, and they generate let downs and revulsion in their teams on the rare occasions they win, or more to the point their teams can be ground into oblivion in close games. The Knicks and Rangers reap monopoly rents in the largest US market regardless of merit. Their owner's indifference to quality is legendary among fans. The Yankees and Mets both spend top dollar for talent, but one organization is competent, and the other isn't. "the bottom is always 20% below my bleakest worst case scenario". Author Unknown. I am thinking of this saying and I am gazing at some metal stocks at the moment. I was explaining short selling to my teenage son last night, and had difficulty communicating the idea of asymmetrical risk. I settled on this: a long stock position can only go to zero. A short position can go to whatever your capital can withstand…plus 10%. I was too considering quotes today, and feel that there is no better quote for markets , trading , p and l, the whole spectrum of speculating then the fairly well worn ..'the darkest hour is just before the dawn". It seems to cover every area that needs to be covered. "that the darkest hour of all is the hour before day." Back in the pit trading days they can recall at times not being entirely above resorting to such folklore logic when the clearinghouse's margin call police came a'callin' about a half-hour or so before the open. darkest before dawn always good–agreed. I like the x% below the worst estimate because it illustrates that the market usually over punishes and it also amplifies the fact that markets have the ability to humilate my best and well thought out assumptions of value—knocking me off kilter. In this flash crash world –the markets can now pulverize any stock, anywhere, anytime. "The bottom is usually a jaw dropping amount below my worst case scenario, intraday"
"One portfolio manager observed that California 6% bonds of November 2039 were quoted at levels cheaper than similar-maturity dollar-denominated debt of Mexico and Columbia." Noting that these are Dollar-denominated bonds of Mexico and Columbia — I believe that anyone who has a historical perspective sees that Mr Market is in the process of creating an opportunity — which may become even more extreme as the market disciplines profligate muni issuers. Lastly, and this IS a prediction, should California or any State actually default or restructure their debt, the US stock market and financial companies will not be happy. Furthermore, should a diversified portfolio of muni's yield more than a similar portfolio of corporate bonds, it will attract an entirely new class of investor. We are approaching that point, but are not quite there yet. Meanwhile while the SEC is probing muni prospectuses. Bill Gross is already well positioned in munis. This has now become an ugly bailout play where the most well-connected win. Buying long-dated munis is specifically outside the Fed's black letter authority, as Bernanke noted in his recent Hill appearance. And with Red State Republicans ruling the roost in the House, any Fed move to bail-out Blue State profligates would be political suicide. Bernanke has shown himself to be an excellent politician. It's very unlikely he'd make an unforced error of that kind. The economic equivalent of Hockey plus or minus might be thought of as quantifying hoodoo-ism, with the highest minus readings belonging to the bringers of doom. Mr. Greenspan said the risk of a bond-market crisis is so great that he favors raising taxes immediately. Only 59 private jets at the fixed base. Mostly big ones. There were 120 before the crash. Aspen airport private jet parking inventory down roundly the same %, if not a bit more. Empty storefronts during the busiest week of the year here, and real estate blather has an unseemly pleading tone. 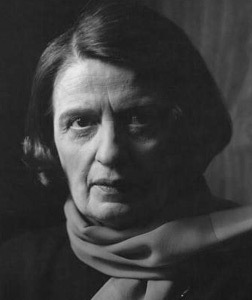 Hunting for a lead to the current Atlas Shrugged film, I came upon this vintage 2:39 youtuber of Ayn Rand on the Phil Donahue show, talking about Israel. The best part of the video is Phil Donahue's suggesting that Ms. Rand is being ill-mannered in her description of the Arabs. Surely, the cultural gaps can be bridged if only people will sit down together and discuss the matter. It is very much like Lackey's gentleman, Robert E. Lee, discussing a gentleman's ability to forget. Lee's greatest admirers wanted the Unionists to forget that they had won the Civil War and everyone - North and South, East and West– to forget that minor cultural difference called slavery. If only those pesky Jews would stop remembering what those nice Arab people keep saying about them, everything would be just fine. "Professional basketball in the U.S. certainly stands out as the sport where skill plays the largest role in shaping results. One intriguing explanation for the NBA's strong skill contribution is the height of the players. In most sports, the most skillful players within a wide range of heights can make it to the pros. But a relatively small percentage of the population is tall enough to play in the NBA. In their book, only about 3 percent of the male population in America is 6' 3" or taller, and a tiny percentage is above 6' 10" (about four standard deviations from the average). Yet almost 30 percent of NBA players are at least 6' 10". They conclude that a "short supply of tall people" contribute to the talent disparity and hence the greater relative role of skill. The right tail of the height distribution does not overlap completely with the right tail of the skill distribution. The Wages of Wins, David Berri, Martin Schmidt, and Stacey Brook note that…"
Occam's razor: The Knicks' owner, James Dolan, is a hoodoo. It's become popular in this community to bash the Fed's QE– and most recently, the story championed by some is that the Fed is "giving away taxpayer money" to the primary dealers with the mechanics of its open market purchases. This hysteria reached an embarrassing climax when the Chair chose to post a Daily Spec Website link to Zero Hedge's entirely wrong article on the subject entitled "Is QE2 a Stealthy $90 Billion Gifting Scheme to The Primary Dealers?" I am not a fan of QE, however, the facts are quite different from the conspiracy theorists' allegation regarding the costs and mechanics. Here is a link to today's open market operations. An objective observer notes that the largest purchases were in securities that were between 2 and 5 basis points CHEAP on the curve. An objective observer further notes that there were no purchases in quite a few securities — and on balance, those securities were rich spots on the yield curve. Furthermore, anyone with a Cantor-Fitz broker screen can see that all of these securities trade with a 1 to 2/32 bid-ask spread. My conclusion is that the open market desk today did a fairly good job at buying securities that represented relative value on the yield curve. And even if the NY Fed pays the offer side on its entire 600 Billion QE, that bid/ask spread totals about $187 million. That isn't chump change, but it is materially smaller than the savings which they can achieve by picking "cheap" points on the yield curve. If the community wants to debate the philosophical and economic issues at stake, that seems productive. But I hope these facts will put to rest the baloney that the NY Fed has handed a $90 Billion gift to the dealer community — as Zero Hedge wrote — and which Mr. Rogan and the Chair gullibly accepted. It's been known all along that Goldman's branch at Liberty Street tends to buy the "cheap" parts of the targeted curve segment. It's childsplay for dealers knowing in advance the outlines of the NY Fed buyback program to accumulate the "right" securities, certain they'll face a forced buyer in the near future. The size of this "edge" is only known by the P/L clerks around the street. Even if it's "only" a few hundred million dollars, it's becoming increasingly hard to view the current matrix of finance/govt interlocks as anything but a brazen conspiracy to loot a defenseless public. Of course there is NO chance the dealers bought those securities a couple of days ago and sold them "cheap on the curve" today. Such a thing would be unheard of on Wall Street. In the event that some members of the community have never run a treasury arbitrage book, I'll let you all in on the dirty little secret of how it works: (1) buy the stuff that's CHEAP. (2) short the stuff that's EXPENSIVE. (3) Pray that the repo-clerk doesn't screw you on the financing. (4) Wait for a real money (i.e. Pimco, Fidelity, OR THE NY FED) account to close the arbitrage. It's always nice as a broker dealer to avoid paying the bid/ask spread, however, if even LTCM (a non-broker-dealer) had stuck to this strategy, they'd still be in business. Mr. Zachar seems "shocked - just shocked" that Goldman might buy the cheap part of the yield curve in the course of its market operations. But that is the job of a treasury trader — QE or no-QE. I'd also remind him that primary dealers are REQUIRED to provide a bid and offer to the NY Fed — whether or not they have inventory. I feel some sympathy for the hapless mid-curve trader who had to make an offer on $2 Billion of the 9%'s of 11/18 — since that issue is probably held by a bunch of widows and orphans, and the dealer would have been stuck paying a reverse rate for god-knows-how-long. I am skeptic about the efficacy of QE — for a variety of macro-economic and feedback-loop reasons, but I refuse to stoop to unconvincing hyperbole such as "looting a defenseless public." Whatever happened to the ballyhoo deflation and the scientific method? I traded on-the-run mortgage-backed securities at primary dealers for a decade…"shocked" is not exactly how I feel. The "dirty little secret" of primary dealer flow trading is that front-running inflexible counter-parties is a central strategy. Not news. One problem with QE2 is that the primary dealers have sympathetic decision-makers on the other side of the trade who are not trading their own capital, or even client capital that is accountable. The dealers are blissfully front-running the taxpayers of the US, with their own pals facilitating the trade. As someone who owns high-end real estate in NYC, it is very much in my interest for the local swells to fleece the broad public, keeping a bid under my assets. That doesn't alter the nature of what's happening to the nation's taxpayers. One man's clever arbitrage P/L is another's "looting the tax payer". On the eve of the GM deal and near the holiday season, a fine American like Rattner reminds us of all WE have to be thankful for w.r.t. the actions taken by the Bush and Obama admins. Reminds me of the recurring historical magazine cover which keeps popping into my head…anyone remember the line from National Lampoon in the 1970s, "Buy the magazine or we'll shoot this dog!" I am still looking for the proper expression for pretending that you are economical when you are a spendthrift, for pretending to have the public's interest at heart , when you are giving money to your friends and clients, for pretending that you're giving someone a good deal when you're setting up a big con. Where is Zachar when you need him? I'm so depressed about all this, my fingers are scraping the bottom of my bon mot bucket. The classic definition of a demagogue is someone who deliberately tells lies to people he believes to be fools, so the fed chair certainly falls into that category. But there's also an element of affinity fraud, as he evokes the cool, disinterested, public servant technocrat. It's an awful, criminal deceit being perpetrated on the whole world, given that the dollar is/was the basis for the planet's financial system. Ben Strong and Norman Montague escaped the verdict of history for engineering the 1929 stock bubble/crash and the awful decade that followed. i don't think Bernanke will have such luck. • Making this happen will require annual investment averaging $209 billion. With our productivity in agriculture, the population increase will be great for our exports and great for business. With science being applied to agriculture, yields/acre have been steadily increasing for the past 300 years. There's no need to think we've hit the maximum in production either. 40 years ago, Erlich, in The Population Bomb sounded alarms about the population doubling by 2010 and he laid out a doomsday scenario. We're here and none of Erlich's predictions have been realized. Jeff makes great points. Additionally, yields for commodity crops are surging and seed companies are investing in growing crops in suboptimal soil. This year's decline in yields is an aberration due to late season flooding. Farmers that I have talked to are getting 190-200 bushels of corn per acre or 120 if they were flooded. It's netting out to an average of 168 or so with a leptokurtotic distribution. I expect next year to average 180+, given reasonable weather. Combined with new crops designed to grow in arid and sandy soil, we should be swimming in excess. Seed companies are scrambling to find uses for extra corn, so famine and starvation not an issue for those who are actually paid to grow the food. It's wealth, not religion, that governs birth rates. Alternatively wealth is caused by (low) birthrate. GZ's excellent link sheds light on a prior study sent to the list, showing high positive correlation between national per capita GDP and distance from the equator ( abs (latitude) ). Fertility rate is generally higher in countries closer to the equator, which on average are poorer. The statement is factual IF one believes contemporary "liberalism", as defined by the American mainstream, is merely the gauzy smiling mask hiding those who yearn to be the next Stalin. Axelrod, Rahm, & the dr0me, arguably fit in the first bucket. Those who do not know what comes after "social democracy", to wit, socialism (where all political conversations end at the point of a gun) and finally communism (where all political conversations start at the point of gun), go into the third bucket. The second bucket is populated by those who who've been shown the historical arcs of the 1930s and believe their would-be masters are intrinsically benevolent and that the examples of the past are not relevant. "It's different with us. We're good guys, really." It's interesting that most liberals also think the same thing about conservatives: evil, stupid, and/or naive. If this is true on both sides then are there any altruistic, bright, and informed (?) persons at all? And what happens to R's if they go against R orthodoxy? They're RINOs, correct? Is it possible for disagreement without contempt? To be clear, I think what NPR did to Williams was wrong. Frank Norris, author of The Pit, wrote this short story in the early 1900s. It's critical of the grain trade as it paints the farmers and consumers as victims. Still, the story is a very quick and easy read. Also attached to this link are some other great stories of the old and new west. Many valuable trading lessons here. The Pit is a true classic. It's one of my favorite books of any genre. I can see my copy from where where I'm sitting now. "Market sell order at close" is one of those concepts from quantum mechanics where it seems to exist until you use it, but when it doesn't seem to exist, it's actually there. It's a very subtle point, especially during the day. Forgetting about the slippage, I think a lot of this stuff turns on time frames, slippage, and the underlying economic and trading nuances of different asset classes. I brought this paper up because I find the conclusions appealing and it says it addresses some issues not previously studied. Not because their conclusions are achievable. 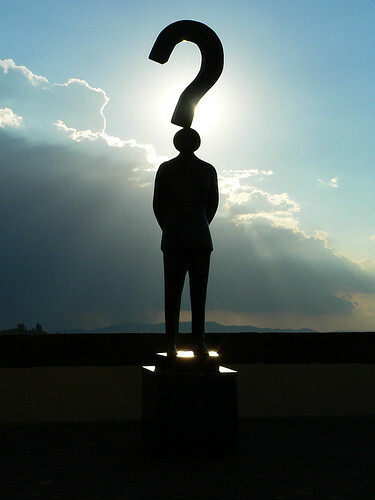 It's just food for thought….and the Big Question for an investor such as myself is: when do I know that I'm wrong???? Speclist members debate the pros and cons of stop-losses from time-to-time. Don Fishback's blog mentioned this paper, Lei & Li (2009) … which I had not previously read about the use of stop-losses for stock market investors….which may be of interest to people. The results indicate that traditional and trailing stop loss strategies neither reduce nor increase investors' losses relative to the buy-and-hold strategy. These findings are in sharp contrast to the common belief that using stop loss strategies can improve investment returns, and the results are robust whether future returns are independent, autocorrelated, or from momentum samples, and whether we consider transaction costs or use alternative data intervals. These results also confirm our previous finding that trailing stop loss strategies can help investors to reduce investment risk. For instance, we document a risk reduction effect ranging from 28.66% to 47.08% for median and high-volatility stocks and for median and high-past return stocks under the SP strategy, when the trailing stop price is initially set at 5 daily return standard deviations below the purchase price. Collectively these findings suggest that realizing losses sooner by certain stop loss strategies can be of value to investors. This value, however, may come largely from risk reduction rather than return improvement. Our results show that stop loss strategies do not hurt investors on their investment performance. There is no identifiable efficiency loss on the realized returns or the investment risk under these stop loss strategies. Since these strategies may provide investors with disciplines and the potential to reduce investment risk, our findings suggest a possible explanation for the widespread use of stop loss strategies in practice. One wonders whether the academic paper on stops takes proper account of discountinuities in price, i..e moves that go through stop where you wouldn't be able to get out at the stop. One would need tick data for that. Also, one would state that whatever results one achieves from using stops on paper, are not valid for many reasons including the point that you never know whether a stop price has been triggered until the end of day– (a very subtle point), and less subtle, the stop price has a gravitational impact on prices making it infinitely more likely that it will be elected to ones cost than if it hadn't been elected. Usually the election is such that the price would not be hit if the stop weren't there. One would point out that continuous tick data would be necessary to do this properly because often the price goes through the stop and then back to a non-stop level even with 1 minute tick data, thereby making all studies using non-continuous every single tick price totally vitiable, and falsely alluring. One was not critiquing Mr. Humbert's summary (one knows better than to do that even if one had that in mind which one didn't) but merely pointing out a very subtle point that often prices move through the stop in continuous time, but not in time with say 1 minute tick data, and you never know whether a stop has been hit vis a vis the close until the open of the day following when the price achieved is very different from the price at the stop level or market at close level. It's so subtle I cant even explain it properly. And I agree with The Chair's observation. The problem is reminiscent of being short (too many) options on a stock that is pinned at it's strike price on Friday option-expiry 4pm. One knows that if one hedges, it won't be assigned. And if one doesn't hedge, it will be assigned and will gap Monday morning. Kind of like carrying an umbrella– and it never rains. If I may, a Schrodinger Stop is one that you place with your broker, as the physicist places the cat in the box. But, regardless the prices you're quoted, you don't know if the stop was executed or what the fill price was, until after the session has ended….just as one doesn't know if the cat is alive or dead until you open the box. Are Kindles good for kids? My 11 year old daughter was a reluctant reader until we got her a kindle. Now we can't get her to stop reading. My 15 year old son seems to have his kindle surgically attached. He reads while doing yoga. I recommend an iPod touch with the free kindle app. It fits in any pocket and lacks many of the distracting attributes of the iPad. July 15 (Bloomberg) — Former Federal Reserve Chairman Alan Greenspan, whose endorsement of George W. Bush's 2001 tax cuts helped persuade Congress to pass them, said lawmakers should allow the cuts to expire at the end of the year. I will stand up and predict a retest of the Flash Crash low, making it the Ultimate Milstein. I recently did a very crude estimate of the value of Warren Buffett's puts betting that the price of the S&P would be above, relative to their price at trade entry. Conservatively, they're roughly up 3.5-fold, using Bloomberg analytics. A similar back of the envelope estimate shows that his short puts are up by at least 1.5 fold using current volatility estimates. Given the rise in volatility the puts are more likely up something like 4 fold. Thus the write-off should be something like $5.5B * 1.5 = $8.5B (at a minimum). In a Yahoo article yesterday it was reported that Buffet received $8B for the puts he sold. So on the higher end the exposure might be $8B * 4 = $32B. In any event the current write off clearly seems to be understated. The Oracle espouses such virtues as clean accounting and a preference for mark to market accounting. And yet, the companies he owns are not marked to market for the most part because they are not publicly traded. Thus they continue to be carried on the books at a valuation determined by the Oracle. If we use the S&P as a reference, the market value of the typical company has fallen by something like 50%. BRK carries something like $250B in operating assets (excluding cash). Thus it is reasonable to estimate that if his portfolio of companies was marked to market that it has declined by about $125B in current market value. If this loss was taken today it would more than wipe out the $120B of equity that the company claims. There are other hidden gems on the balance sheet. For example one wonders what $4B in deferred long term asset charges are. The $34B in Goodwill basically represents what the Oracle over paid to buy his companies. In the current environment one wonders if any of that is left. The $17B in deferred liabilities remains another mystery. The sale of puts was hardly free — just look at Berkshire's stock performance. However, what makes this strategy tenable for Berkshire was that he does not have to post margin, unlike 99.97 percent of counterparties on this trade. This is the major advantage that allows him to play long term nominal drift and benefit from survivorship bias. Had anyone else sold those puts they already would have been downgraded by rating agencies. We document widespread changes to the historical I/B/E/S analyst stock recommendations database. Across seven I/B/E/S downloads, obtained between 2000 and 2007, we find that between 6,580 (1.6%) and 97,582 (21.7%) of matched observations are different from one download to the next. The changes include alterations of recommendations, additions and deletions of records, and removal of analyst names. These changes are nonrandom, clustering by analyst reputation, broker size and status, and recommendation boldness, and affect trading signal classifications and back-tests of three stylized facts: profitability of trading signals, profitability of consensus recommendation changes, and persistence in individual analyst stock-picking ability. I trade mostly spot forex, so my comments are limited to that market. Also, my trading is moderately high-frequency. From my perspective, there has been a pretty big change since mid-2008. Liquidity has dried up, and spreads have increased. That makes it more difficult to be profitable. For example, one year ago a typical spread in a currency pair might have been 2 pips, and now it is 3 or 4 pips. Furthermore, it is hard to get filled at a decent price for larger orders…it seems like market reactions to your order are a little more sensitive. Not surprisingly in a time of such turbulence in all financial markets, volatility has increased. I'm seeing more breakouts, which I attribute to greater uncertainty and thus sensitivity to market-impacting news. Or, perhaps it is just that the news recently has been of greater "amplitude". I think there has been a gradual trend to return to what I would, with my limited experience, consider "normal". That process will likely require many more months. As you may know, liquidity in the forex markets is primarily supplied by banks, and to the extent that they become more risk-averse, the market will continue to suffer. Have you noticed a change in the markets due to the changes in the large investment banks such as GS, Leh, Bear Stearns or other large funds? I can't really quantify it or pinpoint it in a meaningful way yet, but it just seems different, more rhythmical, less jerky, and easier in some ways. It seems more large crowd oriented, fewer huge orders in the pipe or ts. In the days when boxing was THE American sport and New York City was its Mecca (when, according to the promoters for the old, old Madison Square Garden at least one of the fighters had to be or pretend to be Jewish if you wanted to draw a decent crowd), fighters would work a whole round to set up one punch. George just won the prize for champion of the List for January with a knockout right cross at the bell. The few pools of liquid discretionary capital remaining face the prospect of Barney Frank acting as a Caligulan Nero overseer. Transient calms of nostalgic transactional ease only remind us of the wreckage on the seabed, and capriciousness of our new masters. The fixed income market, once the most comely of mistresses, is now a Frankenstein's bride; a halting, disfigured, spastic wreck. The Fed is lending $95 for every $100 in securities that dealers bring to it, regardless of the type of collateral. In other words, the Fed requires the same amount of additional collateral whether a dealer is borrowing against a Triple A-rated corporate bond or a Triple B-minus subprime-backed bond. It's time the world learnt how data collection functions. These numbers are produced by turkeys who never ask whether their numbers make sense. And to think that markets respond to them! Lots of the data put out are also seasonally adjusted. One of my big peeves is that the data monkeys who work for the gummint do not know how to properly do the seasonally adjustment. As a result there are a lot of bad data out there. The real problem comes when the bad data are released, and everyone follows them. In other words, perception becomes reality. You (having the good data) have to follow the bad data also, at least until some time elapses and the whole thing gets corrected. So you have to watch against being too clever for your own good. I've developed a localized index of inflation that is actually reflective of folks' consumption baskets. It includes taxes, insurance, education, and healthcare in more accurate weights. It has shown me how far off the CPI has been versus reality since at least 2002. The spread has consistently grown! This local inflation measure focuses on prices in the Chicagoland area and so would be best compared with CPI-U. Further, the resolution is quarterly not monthly. The inflation measure for Q1 2008 will likely show an increase of 8.6% YoY. I'm doing some back of the envelope. Real 10y rates went from 1.7% at year end to 0.9% now. Do you have any idea what a move in real 10y rates like that does to the discounted value of cash flows, i.e. the fair valuation of stocks? incredible? This is not the Fed Model, which is clearly wrong because it uses nominal rates, and compares apples to oranges — Cliff Asness is definitely right on that — but looking at changes in the discounted cash flow valuation using changes in real rates is simply correct. I responded that I don't believe anything is wrong with the the Fed Model, and that the real rate according to the TIPS has not gone down as much as he says. But I agree with the conclusion anyway. The declining relative weight of Treasuries in the debt universe, along with their well-known pricing distortions, make them a poor benchmark for such studies these days. Five year interest rate swaps for current work, or, say, Baa 5 year corporate yields for historical studies, make more sense. Ever so slight, but upward, revisions in the price series. By the way, the uptick in initial claims seems to have been due to funky seasonals around the President's Day holiday. Silver is approaching $20. Can $1000 gold be far behind to complete the markets' inflationary grand slam (after $100 oil, $1.50 euro)? The flagged series are core-core for the boffins, and decidedly soft as Bernanke chooses his tie for today's hearings. The median sales price of a single family house printed with a 1 handle for the first time since 2/2005. This morning's inflation surveys give succor to our monetary scientists. They can straight-face the microphones, intoning the "inflation expectations are well anchored" catechism, and roll their eyes at the mention of moral hazard. This brief smackdown of Keynes's 1936 "General Theory" by Garet Garrett is well worth reading. Recall Garrett wrote the wonderful novel Satan's Bushel. Upon it has been founded a new economic church, completely furnished with all the properties proper to a church, such as a revelation of its own, a rigid doctrine, a symbolic language, a propaganda, a priestcraft, and a demonology. To the socialist planners, it offered a set of algebraic tools, which, if used according to the manual of instructions, were guaranteed to produce full employment, economic equilibrium, and a redistribution of wealth with justice, all three at once and with a kind of slide-rule precision — provided only that society really wanted to be saved. And the same theory by virtue of its logical implications delivered welfare government from the threat of insolvency. That word — insolvency — was to have no longer any meaning for a sovereign government. The balanced budget was a capitalist bogey. Deficit spending was not what it seemed. It was in fact investment; and the use of it was to fill an investment void — a void created by the chronic and incorrigible propensity of people to save too much. NOVA just rebroadcast their episode called Deadly Ascent which explores the difficulties of climbing Denali (Mt McKinley). The show highlighted some intriguing parallels between mountaineering and trading. Experienced climbers describe Denali as not a technically daunting mountain. Climbers can make the ascent without having to scale huge rock faces or ice falls, the kinds of things you see when they do the Eiger or K2. The thing about Denali is the environment: That beautiful massif pushes up into the sky, and the volatility is the weather combined with the altitude. A local guide talks about the deceptive qualities of Denali in particular, about how a group of climbers will make the ascent safely in good weather, come back down and tell their friends how easy it was, and the friends will put together a team, make the attempt and die. The NOVA team was composed of a man and woman, both experienced mountain guides, and an astronaut, John Grunsfeld. One of the technologies they used to explore the effects of altitude and cold was a "thermister" pill, a small thermometer that is swallowed and then transmits data on the subject's core body temperature. An important part of the data-gathering effort was to track external weather conditions, as well as the internal body temperature of the climbers making the ascent. There was an interesting comparison between the astronaut, Grunsfeld, and one of the experienced guides, Caitlin Palmer. The thermister readings showed that when Grunsfeld was climbing, his core body temperature would spike to as high as the 103-104 range. Then, when he stopped and rested, his core temp would plunge rapdily to as low as 95, near hypothermia. Caitlin Palmer, on the other hand, maintained a narrower range of 100-96, with slower changes of temperature. She was able to function more effectively in the extreme conditions. Grunsfeld eventually had difficulty at their camp at 17,200 and descended with Palmer, without making the summit. Thinking of volatility, and of the markets in the last two weeks, I enjoyed looking at these photos of a monster roller coaster at Cedar Point. The Fed's upcoming liquidity swaps will be keyed off the OIS rate for one month funds, which I mistakenly assumed was roughly the rate for a term loan of the duration. I have since learned that the OIS is effectively the same as the rate on the second Fed Funds future, which is currently ~4.20%, a modest discount from the spot target rate of 4.25% and substantially lower than the 4.75% discount rate. This makes the upcoming set of auctions a one-off discount rate cut, albeit in relatively small size. The two day window between bid submission and auction award announcements further muddies the program's value. Experience gained under this temporary program will be helpful in assessing the potential usefulness of augmenting the Federal Reserve’s current monetary policy tools–open market operations and the primary credit facility–with a permanent facility for auctioning term discount window credit. Main refinancing operations are regular liquidity-providing reverse transactions with a frequency and maturity of one week. They are executed by the [National Central Banks of the Eurosystem] on the basis of standard tenders and according to a pre-specified [weekly] calendar. The main refinancing operations play a pivotal role in fulfilling the aims of the Eurosystem's open market operations and provide the bulk of refinancing to the financial sector. European fashions in Central Banking coming to the U.S. ? We shall see. A French chef is claiming a record for the world's largest barbecue, right, after spit-roasting a 550 kilo (1,213 lb) camel for 15 hours at a seaside Moroccan town south of Rabat. Christian Falco, 63, from Perpignan, Southwest France, said he was recreating a centuries-old tradition begun when a Moroccan king offered a roast camel to his people. You can buy a car with a diesel engine and use vegetable oil . I heard some people are able to run a car on a 15% diesel / 85% vegetable oil mix. It is great if you live in the countryside. You can grow your own untaxed fuel. Decatur resident Dave Wetzel may be in hot cooking oil with the Illinois Department of Revenue, who claim he needs to pay $244 in back taxes for the gallons of vegetable oil he has been running his Volkswagon car on for the past 5 years. Wetzel uses recycled vegetable oil, which he picks up weekly from an organization that uses it for frying food at its dining facility. If you do make your own biodiesel from free used vegetable oil, the cost per gallon for materials is around $.60. if you pay someone minimum wage to do all the work, the cost is about $5 per gallon. Therefore if you enjoy the work and do it as a hobby, it's a good deal. It's not a money saver. Some in the biofuels industry are against road taxes on their fuel, but I think they're necessary because infrastructure is already underfunded. Plus, once we're making a large share of the fuel in the country, it would be noticeable. "…for policy makers, the decision is between the quarter-point reduction and no cut at all. A half-point cut is unlikely to get serious consideration from Fed officials…Ordinarily, meeting market expectations isn't a goal in itself for the Fed…"
…has drawn a universal <snort> <roll eyes> from the professional Fed-watching community. With financial stability JobOne at the Eccles Building, November Fed Fund futures putting a 94% probability on a 25 bp cut, and America's highest profile broker fielding retail phone calls about its financial stability, the notion that the Fed is seriously thinking of not moving rates is just laughable. In September, it was UK Northern Rock's bank run on page one that cemented the Fed's panic half-point cut. Think Bernanke will sit still with MER on the ropes? Neither do the currency traders. I've recently switched to an index trading strategy using QQQQ options which I now want to broaden, spreading my risk into similarly priced very liquid option-based instruments which are not very correlated with the main market indices, or each other, and am looking to maintain four such positions. However I'm having trouble finding low-correlation instruments with liquid options that I can use in the same way as I treat the QQQQ. Do Daily Spec readers know of ETFs with highly liquid options, or some other similar instruments? The Select Sector SPDR correlation tool might be of value to you. Careful! Before you rely on it, you want to make sure their correlations are based on net changes — weekly, daily or whatever. Correlations based on price levels are spurious. I did not see any mention of their methodology on their page so it would be good to check. This graph shows moonshot one-year growth of Money of Zero Maturity, a proxy for money supply. In contrast to this, the year-over-year change in the real Monetary Base has been negative lately. Yes, Monetary Base growth is still hugely negative. But George is also correct that MZM growth is hugely positive. The missing connection is lag. 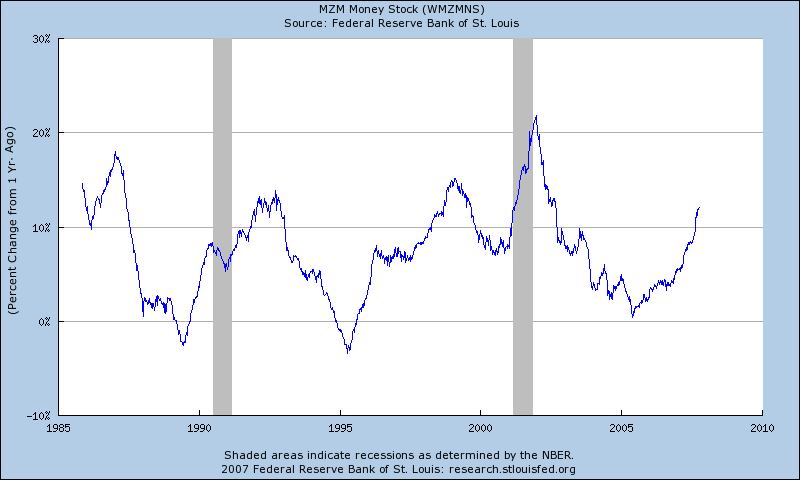 MZM significantly leads Monetary Base. Alan Greenspan's autobiography "The Age of Turbulence" provides a snapshot of establishmentarian economic thinking, including a panoramic view of of how we got here, what "here" is, and how one very clever man prospered in a variety of challenging settings. We hear the well-known story of Greenspan's rags-to-knighthood ascent from Washington Heights to Washington's heights. Students of the Beltway memoir genre will recognize the name and venue dropping. The latter portion of the book, Greenspan's critique of the current economic/political landscape, would be familiar to anyone who has followed his work, and kept up with the musings of bien penseurs. Folks seeking initial compass points on the intersection between the Beltway and Broadway will learn a lot about the current state of play. Cynics like me can troll for amusing anecdotes, marvel at the near adoration offered a certain impeached ex-President, and shelve the book for future reference. The first two bearish economists I've seen said this morning's data "only look strong," and that the deeply obscure metrics (one of the diffusion indicies, for instance) tell a tale of ongoing weakness. Yeah, a lot of this was unwinding the big miss on Government payrolls last month, but given the amazing noise generated by the August market debacle, it's telling that more than half a million folks chose to enter the workforce in September, and 463,000 of them got jobs. Had J.R.R. Tolkien applied his talents to Middle America instead of Middle Earth, the result would have been akin to Satan's Bushel, Garet Garrett's 1923 novel, available as a 212 page pdf. Literally beautiful in its language, yet deadly accurate in its particulars, the work is a mystic's perspective on farming and speculation, on death and eternal love. It is worth reading for both its prose and its surprisingly relevant take on markets. 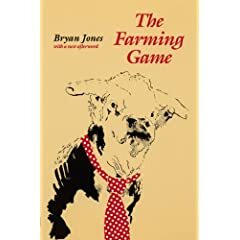 For those who want to read an uproariously entertaining book on the economics of becoming a farmer, I can't recommend The Farming Game, by Bryan Jones, highly enough. Imagine Mark Twain giving advice to a city slicker (Green Acres is the place to be) who dreamed of becoming a farmer, and you'll have an idea of the book's appeal. Acute economic sensibility combined with trenchant wisdom. There are only two copies of this overlooked classic left in stock at Amazon before they reorder (owing to slow sales, alas). You'll thank me later, and I can promise that if you start reading it over a weekend, you won't stop. The farmer was one who paid.The farmer certainly paid. that situation was bound to be exploited. would like to understand. The latest year of available data is 2002.
remotely close, why aren't more farmers using the futures markets? Keep in mind that hedging with futures only protects the farmer from a small portion of the risks the farmer faces. Futures protect against "price risk", the risk from fluctuations in the market price of wheat. bushels. Futures don't help with this risk (and you cannot insure either). should you sell (for price hedging purposes) on the CBOT? It is always good to go back to our roots, whether we look at the history of where we were born/where we live, or study the different environments of our ancestors. These studies show us our links to the past and the foundations that others have laid down for us to grow from. Nathaniel Philbrick tells the story of the roots of America in his book Mayflower. The foundation of modern America begins with four hundred English Puritans who moved from England to Leiden, Holland in the early Seventeenth Century to found a purer version of the Anglican Church. One hundred of these Pilgrims carried on their journey under treacherous conditions, with low supplies, all the way to Plymoth (now Plymouth), Mass., arriving in 1620 — on the run from English agents in Holland. The Pilgrims were financed by a profit making company, the Virginia Company, that was down on its luck because of a previous venture to Jamestown in 1607, where during the first year, seventy of one hundred and seven settlers died, and during the second year, four hundred and forty of five hundred settlers died. These Jamestown settlers died mostly from starvation and attacks from hostile Indians. The Plymoth Puritans knew that they would be facing equally hostile conditions, but, "No small things could discourage them as … they knew they were pilgrims." In the years following 1620, the Pilgrims were joined by many waves of adventurers, motivated mainly by profits. Philbrick's Mayflower is about the religious practices, politics, day to day life, key leaders, economic arrangements, climate, geography, survival techniques, and defensive and offensive strategies that the Puritans and the adventures forged in an effort to prosper in this hostile environment. For fifty years, there was a relative harmony with the Indians, but this broke down with the death of Massasoit, the leader of the Wampanoag Confederacy, in 1661. Within a year of his death one of the deadliest wars (in terms of percentage of population killed) in American history broke out. Philbrick is a historian with great expertise in maritime, political, military, and natural studies, and on this subject, I believe he tells a convincing story about many events that were previously in the realm of folklore. On the characters of the time, Philbrick tells us that Squanto was a duplicitous Indian, constantly changing sides, who attempted to lead the Mayflower Pilgrims and adventurers to their destruction at times, but was very helpful to them on other occasions in establishing relations and communications with the Indian tribes. We learn that Miles Standish was a martinet, who was constantly losing his temper, leading the settlers into disaster, and had the settlement in constant military mode. With the time the settlers spent on military and religious pursuits, it is amazing that they had any time left for survival and the pursuit of happiness. Philbrick tells how in the second year after settlement, the Pilgrims learned the power of incentives, and gave each settler the rights to the fruits of his own labor on his own land. He points out how much more adroit the Indians were at deception than the settlers, and how they were always ambushing the settlers when they were not prudent or silent enough. Eventually, the only way that the settlers could battle the Indians on equal terms was by enlisting friendly Indians to be on their side, and who showed them how to cope with the deception of the other Indians. Philbrick tells a great story, and derives many insights that are applicable to life — for example, he talks about the importance of trade with the Indians in creating harmony. Based on his study of the Pilgrims during the first 50 years, Philbrick believes that the essence of Americanism is criticism of authority by self-promoting men. He finds the archetype in the hero of the story, Benjamin Church, a frontiersman who is a combination of Davy Crocket, Daniel Boone and Jack Aubrey. Like most historians trying to write popular history, Philbrick strives to focus his story on a extreme event. Almost half of the book is devoted to the war of 1670 between the Pilgrims and the Indians, and much of the commentary about the war is about the atrocities, broken promises and misdeeds of the Pilgrims. There is not enough emphasis on the trading relations with England and the other colonies, or on the spirit of incentive that led to the success of the colonies. Overall, I can heartily recommend this book, as it is interesting, informative, and helpful to understanding the foundations of our country. A visit to Plimoth Plantation a couple of years ago really brought the history to life. The actors and actresses at the historical site were so well versed in the history and the dialect that you were literally transported back in time. They told me that I must be an escaped slave of the Spanish since I came from Florida! Quite fun. Well worth a visit. My parents and older brother literally got off the boat here in the US in 1949, and my childhood understanding of the world was based on what they went through in Europe before getting here. Reading the unending litany of whining in the daily press, my default reaction is, wtf are these people complaining about? With a little focus and effort, the upside here is limitless! Complaining has always been a part of the American tradition. It is the source of our humor (what else is a wise crack? ); it is also the reason the varieties of psychological counseling have found far more fertile soil here than anywhere else in the world. Even Philbrick's otherwise admirable book ends up literally whining about the past — i.e. if only the Pilgrims had been more understanding, King Philip's war would never have happened, etc.. His premise is the ultimate therapeutic fallacy — that quarrels over culture and property can somehow be mediated if only people will sit down and talk forever. Philbrick is a marvelous scholar and writer, but as Vic notes, in Mayflower he falls prey to the standard (at least these days) academic and journalistic presumption that, ultimately, whatever went wrong is somehow the "Americans'" (sic) fault. Even though his book has an elegant description of the sparring of the Spanish, French, and English explorers, adventurers and merchants that preceded the landing at Plymouth, Philbrick concludes that the Pilgrims and Bay colonists should somehow have avoided the follies of war and strife that tortured Europe in the 17th century. He also accepts the perversely racialist notion that the Indians (sic), like other historical losers (blacks, Palestinians, etc. but never, of course, Jews) are automatically entitled to exemption from any critical judgments. George and James have each once again gone to the heart of the matter. The essence of being an American is that you have to make your own deal, no matter where you come from. Washington and Otis and Warren believed that America was special, not because Americans were somehow unique but because, through the accidents of history and geography, Almighty Providence had given the sons and daughters of Virginia and Massachusetts the unique blessings of individual liberty. What made these men truly revolutionary, to this day, was their perverse belief that the same liberty was and always should be the birthright of every human. Or, as the rattlesnake flag puts it in classic American vernacular, "Don't Tread on Me." As an explanation of everything, I liked How We Got Here by Andy Kessler, available free online. 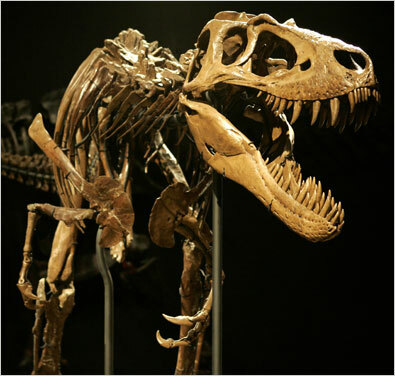 It covers the invention of nearly everything from the steam engine to the Internet and touches on issues dealing with patents and banking systems along the way. It's his best work and well worth reading. He inserts levity and explains things very well. I also liked Running Money and Wall Street Meat by the same author, but found his latest, The End of Medicine, worthless. Hans-Hermann Hoppe explains pretty much everything in his 33 page essay Banking, Nation States and International Politics, tying together gold, fiat currency, banking, the State, the evolution of the Euro…. 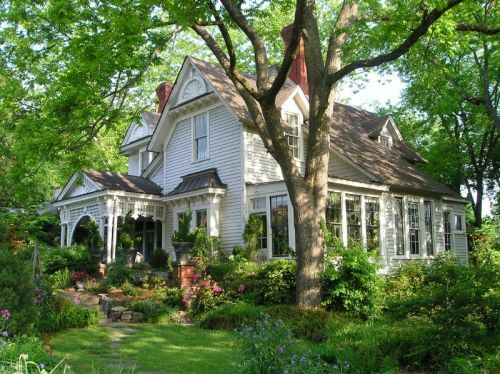 More than 15% of the homes for sale in Detroit, or almost 1 out every 7 homes for sale, is priced at $20,000 or less. How much of the statistical weakness in house prices is related to utter freefalls in dead-end places like Detroit, Cleveland, Buffalo, etc., pulling down the averages? Average income in Manhattan is a truly meaningless stat, as both seven figure compensation and welfare checks are common here. What about "average" house prices, lumping together entire neighborhoods that are bidless along with suburban stretches just "giving back" the last couple years of appreciation? Is this a meaningful distortion? I look at houses on line from time to time in Flint, MI. I look at my old neighborhood, and the houses are still going for the price my Dad sold his for in the 70s. The main difference is the factories are gone and the people are poor. Oh, and there weren't any drive-bys when I was growing up. You got beaten up, but no shootings. A house two blocks from where I grew up is listed for $25,000 on Zillow. At least it's not a dump. Maybe someone could make money buying these places. I'd live there (though my wife wouldn't), except I moved to San Francisco many years ago, and let's just say Flint is short on the amenities I enjoy here. Michigan has always been my "put" — if we run out of money, we will have to go back there. Call me old fashioned, but I would have expected the "global head of credit markets" at a major bank to have seen at least one credit cycle before attaining command of the balance sheet. Credit crunch aside, commercial real estate sales in Manhattan have already surpassed last year's record total, according to a report released Wednesday by Cushman & Wakefield Inc. The real estate company estimates that in the first eight months of the year, sales transactions that either closed or are under contract totaled more than $40 billion. In all of 2006, transactions amounted to $34.7 billion. The first half of the year was the strongest six-month period ever reported for commercial sales, with transactions reaching $34.1 billion, up from $18.58 billion in the corresponding period in 2006. Cushman notes that the credit crunch has led to more stringent underwriting, more expensive lending terms and an increase in the amount of equity required for purchase. It says that eventually the market turmoil could lead to fewer property sales, fewer bidders and ultimately lower prices for buildings. However, for now, the company says property values have remained strong. Here is the key inflation issue: the Fed know core CPI is flat or falling and that the price of everything a person actually needs to live is rising rapidly (food, energy, healthcare, education, insurance, etc.). Plus, they believe the disinflationary effects of emerging markets has diminished which is evident from the fact that Indian firms are not outsourcing to Mexico where wages are cheaper (as one example). So, there is now an important (but quiet) debate in the FOMC and among the staff about whether more attention ought to be paid to headline inflation as well as core. Plus, digging a bit deeper, they fear that real interest rates may already be negative if you adjust your numbers using headline instead of core. Or, even worse, you could think about using the inflation numbers that arise from the old methodology before they stripped everything out of it. 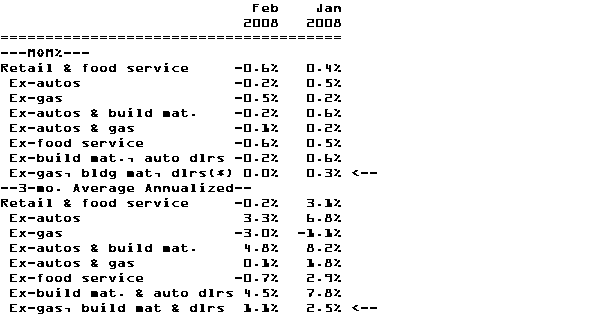 That calculation (see John Williams' work on Shadow Statistics) shows inflation running at 8-10%. So, there is much more worry than the market realizes about cutting rates now and essentially pulling the ripcord that unleashes an inflation which will be hard to deal with later (a la Greenspan's comments over the last few days). It is comforting to know that, under the surface, there are folks in the monetary clerisy that "get it" vis a vis honest-to-G-d inflation. Unfortunately, the Fed's calculus is complicated by political and systemic risk factors. The left controls the political and media agendas, creating a fierce headwind against discipline. And there's something about bank runs (albeit in the UK) that's apt to focus a central banker's attention on immediate problems, leaving longer-tailed inflation concerns for another day. Greenspan publicized the notion that the Fed would try to make its mistakes in ways that could be remedied — that is, if they were going to screw up, they would do so in a way that left them policy tools to address the problem. In the case of deflation, they deliberately stayed too easy too long, to make sure they didn't have "a Japan problem", assuming they could always jack rates up to mitigate subsequent inflation. I fear/suspect that a similar calculation is being make now: Is it better to extinguish the systemic risk fire now with a big ease, and then later have to tighten even more? Or to make a half-effort now on the liquidity side, hope that's adequate, and promise to ease more if required? The long-time produce clerk at the locals' supermarket here in Aspen was chatting up a customer this morning. "Do you watch the stock market? It's been going down down down. Yes it jumps every now and then, but still, it's going down. "Then I heard on the radio that a lot of people are going to start walking away from their mortgages….just walking away from their houses….Do you think that can happen here?" The customer was probably a local real estate broker, because he paused and gave a very detailed description of how the different sub-markets in this area would behave under different mortgage market scenarios. "Okay, okay," the clerk continued. "So you think I should still go ahead and buy that house?" At that point I couldn't find anything else nearby to pretend to examine, so I moved on. Play with the color slider to find the level you enjoy reading most at. My daughter, 8, will likely never have to memorize the fixed formats of pre-printed periodicals to home in on regular features of interest. As a former newspaper layout geek, it's interesting to see generations of habit suddenly rendered moot. When I left New York 35 years ago the New York Times had the presumption that it was like the medieval church or the compulsory public school, that the common folk had to accept what was preached at them whether or not it was of any use or interest to them. Apparently, that presumption endures even with the changes that have occurred in the world of information. There are 14,000 radio stations broadcasting today, twice the number that existed in 1970. This does not include satellite radio, which in the six years since its launch has acquired 13 million subscribers nationwide. Eighty-six percent of American households subscribe to cable or satellite TV, receiving an average of 102 channels; many receive two, three, four, and even five times that number. As of 2005 there were 18,267 separate magazines with regular publication schedules; in 1993 there were 14,302. The Internet Systems Consortium says that in 1982 there were 235 Internet host computers that allowed people to post content on the web; in 2006 the count was 400 million. Technorati counts more than 63 million blogs on the net. They believe 175,000 new ones are created every day. Welcome to debate whether the Sulzbergers and the Times's staff are more or less honest than Roger Ailes, Rupert Murdoch, and Fox News; but that is truly an academic question. What is incontrovertible is that Mr. Murdoch's team has been amazingly more successful in gathering a paying audience. They have, in a matter of years, gained more viewers and readers than the Times acquired in the half century after the Herald Tribune stopped publication. Gutenberg's movable type made writings that had been accessible to thousands available to millions. It did not guarantee that anything written would be honest, but it did mean that the judges in the competition for the truth would be all who took the trouble to learn to read, not just those lucky people who had been anointed by official learning. The following is from the article, Point Shaving in the NBA: An Economic Analysis of the NBA’s Point Spread Betting Market. The setting of the point spread is inducing games to end up on one side more often than the other, due to the betting market's non-linear payout structure altering incentives. The Nth time I saw Marc Faber's name cross the tape, I was inspired to run his name on blogpulse.com, to see how his mentions correlate with market action. The graph speaks for itself. I used to follow his material while it was free, but lost track. And yes, it was quite bearish. Someone mentioned his name a few weeks ago, and I decided to compare his fund's performance to the market's from 1998, when it's first listed on Bloomberg. He seems to have done well; though if you look from the trough in stocks in 02/03 he has underperformed. Try using the unyielding David Tice, whom Bloomberg quotes today as saying "this could be the big one," and a somewhat similar pattern emerges.